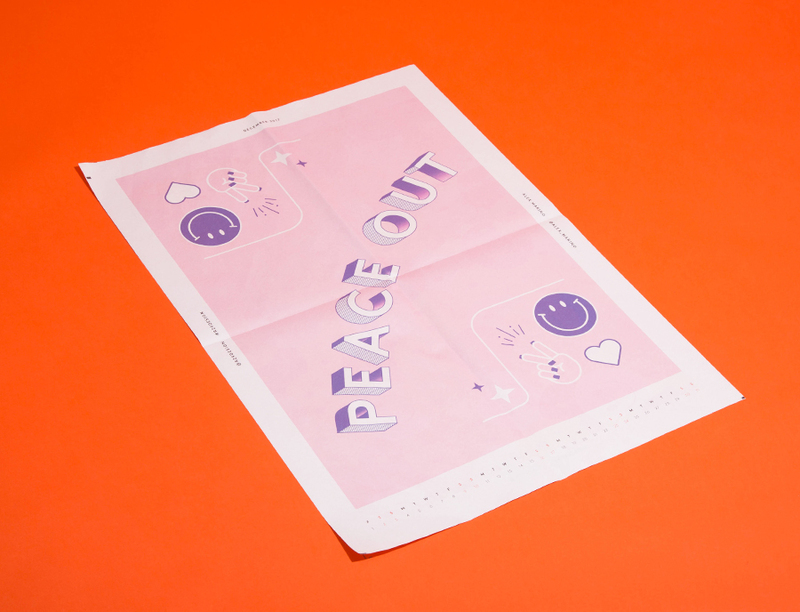 When Isabel Castillo Guijarro and Elliot Salazar, both designers at lifestyle publisher Refinery29, found out there wouldn't be a company calendar this year, they took matters into their own hands. Joining forces, they devised a plan to surprise their team with their own R29 Design calendar. With just a couple weeks before the New Year, they had to act quickly – while also flying under the radar. 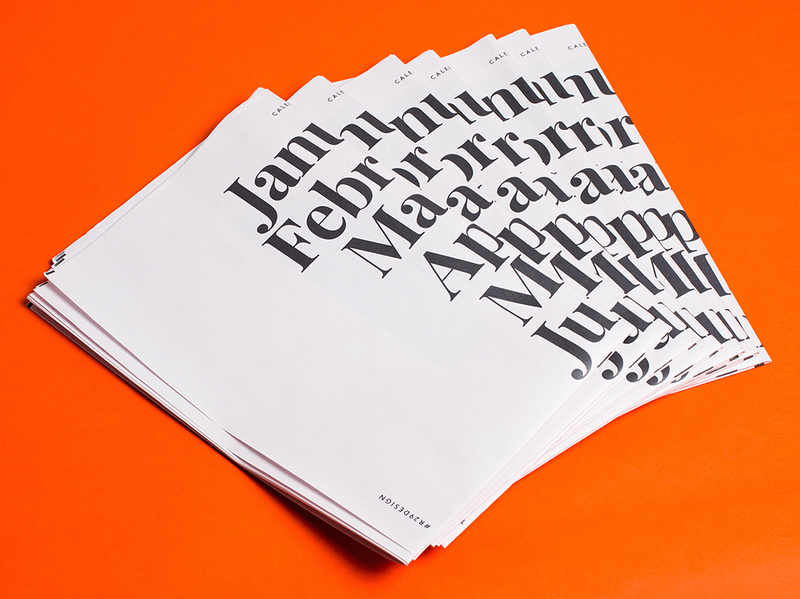 "We asked our fellow R29 designers to contribute artwork to a Super Secret Project, blindly trusting us," says Guijarro. "We didn't tell anyone – not even our creative director who saw us working on it late at night!" 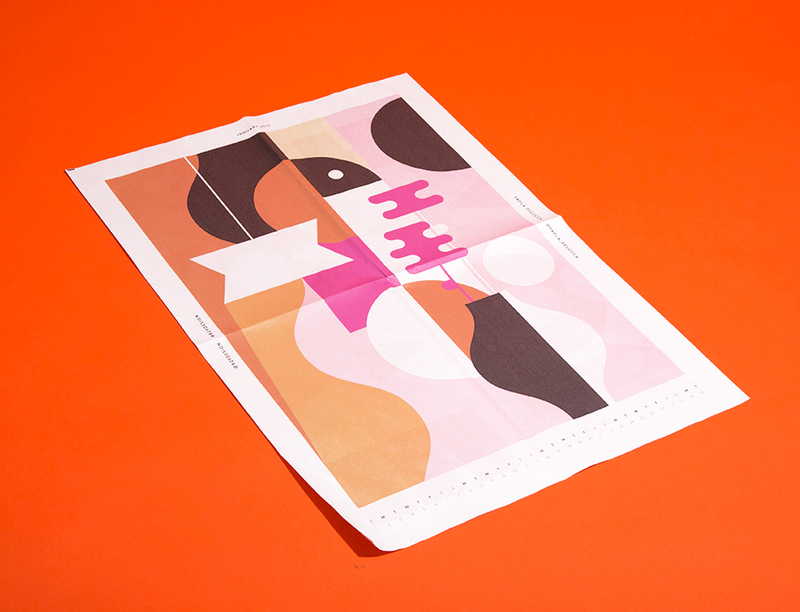 Refinery29 Design Calendar printed as a digital broadsheet newspaper. Photo by Collins Nai. 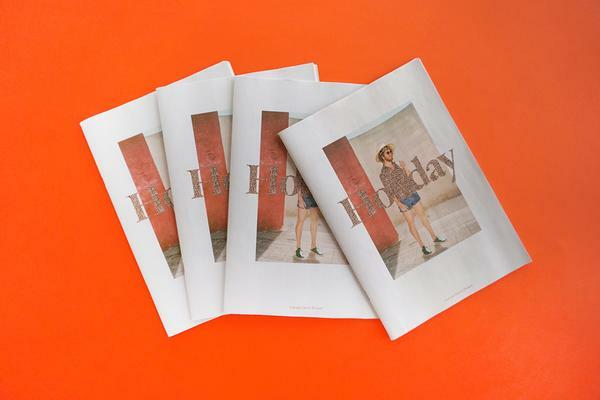 With some careful page swapping (and a bit of help from our poster tutorial) they turned a digital broadsheet newspaper into a huge calendar that doubles as a set of pull-apart posters. Each month features an unpublished illustration from the award-winning R29 Design team, with work from both Guijarro and Salazar as well as Paola Delucca, Louisa Canell, Mallory Heyer, Alex Marino, Tristan Offit, and Abbie Winters. 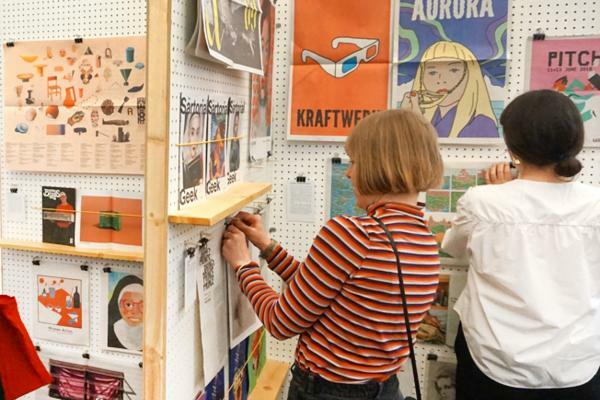 Now they're sharing the calendar (and other behind-the-scenes projects) on their own R29Design Instagram feed. Over the year they'll be introducing the artists behind each month's illustration, starting with Puerto Rican designer Paola Delucca. She kicks off the calendar with her abstract design (pictured above) for January. 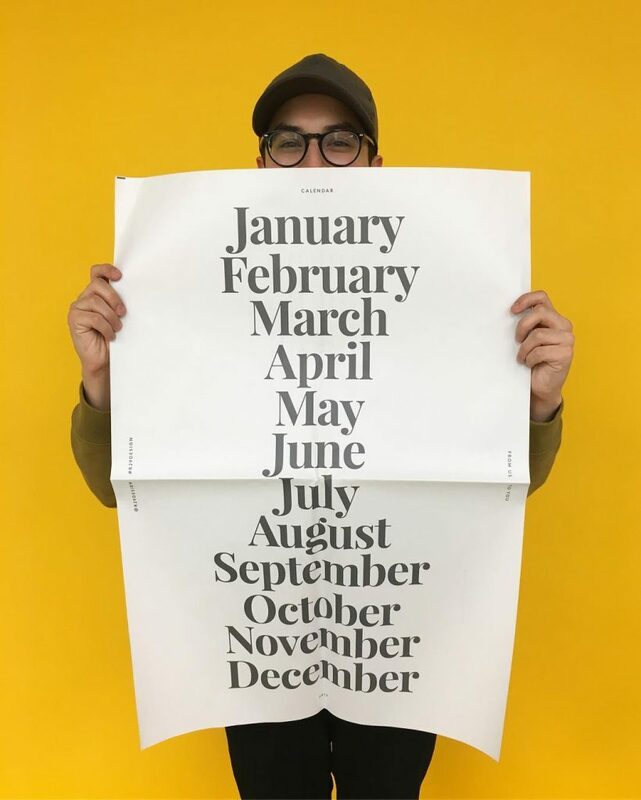 Refinery29 Design Calendar printed as a digital broadsheet newspaper, with designer Elliot Salazar for scale. 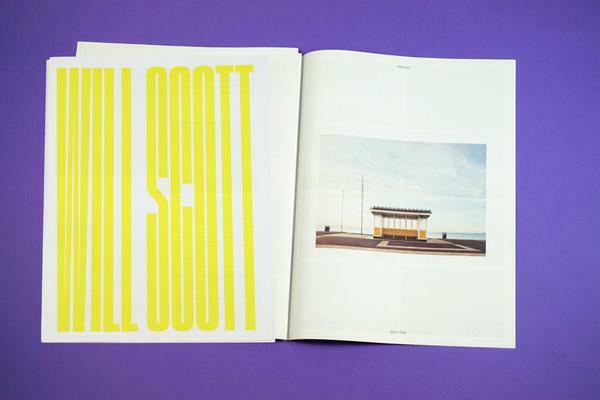 Keep up with the team on Instagram to meet more of the designers – and maybe snag a calendar for yourself.